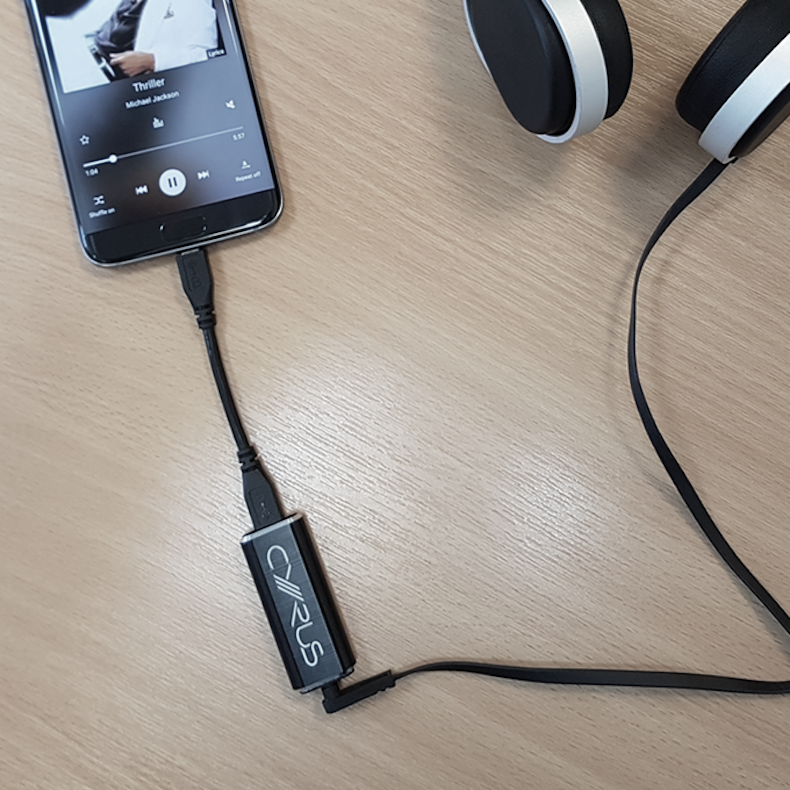 Micro-sized DAC/Headphone Amp supporting high-res audio up to 24bit/96kHz with extremely low power consumption to conserve phone battery life. 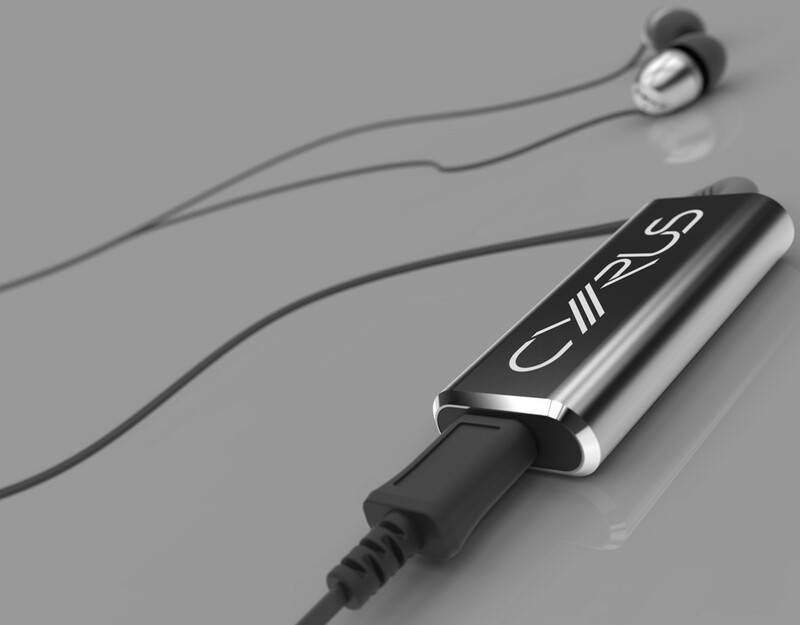 Cyrus SoundKey DAC and Headphone Amplifier is designed to feel like part of your headphone cable. Plug between your phone and headphones for greater listening. Phones are not designed as audio playback devices, so the cheap interior means music lovers aren't getting the sound quality they deserve. 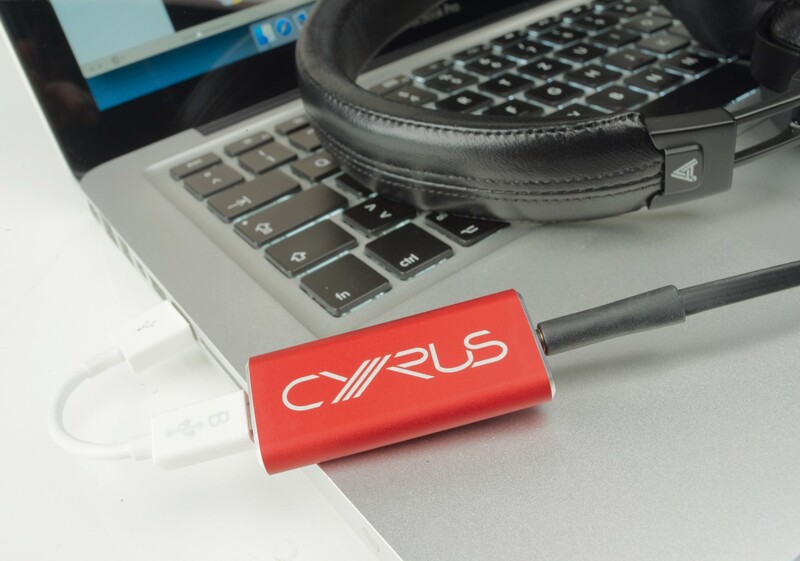 To resolve this, Cyrus poured their extensive audio expertise into creating the SoundKey; a new high-quality DAC and amp. 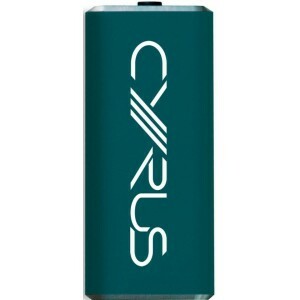 For over 30 years, Cyrus has won multiple international awards for their products primarily attributed to two core skills in amplifier and DAC design. The key to this is in the power supply. Cyrus understands amplifiers do not actually amplify, but instead make larger copies of the original source signal. Therefore, the quality of power used to make the copy is critical to the ultimate quality. 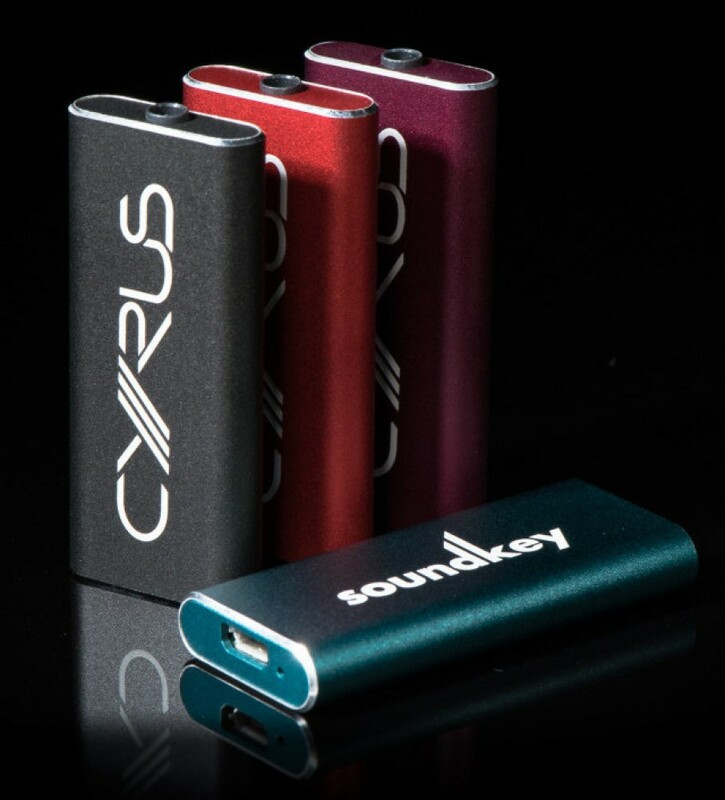 Plug Cyrus SoundKey into your phone, tablet or laptop for unbeatable sound on the go. The high-quality components deliver music with a greater sense of space so you hear individual instruments, voices and melodies more clearly. Detail is greater making subtle nuances in vocal intonation more apparent. There is a better grip on the lower frequencies allowing bass notes to sound more tuneful driving their own rhythm without being just ‘heavy and loud’. Overall, the performance is more emotionally engaging and enjoyable. One of the main things setting the SoundKey apart from rivals is its extremely compact size and design. Since listeners using their phone as a music source are likely to be on the move, being small and lightweight is essential. It weighs only 16 grammes (est). From a design perspective, smooth rounded edges enable it to feel more like an integral part of the cable without catching or snagging on anything. SoundKey is an extremely low current device that deliberately does not use a separate battery. This keeps it small and light and means you don’t have another thing to charge. Powering it relies on your phone battery however while other DACs typically drain 100mA, the SoundKey has been designed to draw only 50mA efficiently conserving battery life.